The cruise industry turned out in force to honour the winners of the Cruise International Awards 2012 at London’s Soho Hotel yesterday. 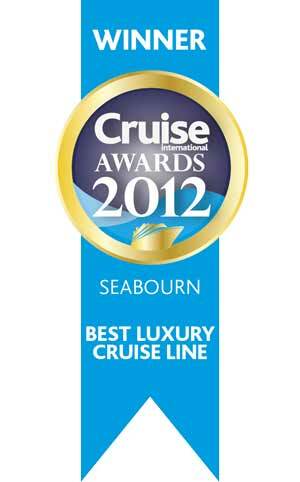 Over 20,000 people voted for thier favourite cruise lines and companies. The big winners included Seabourn for the Best Luxury Cruise Line, plus other awards for Carnival Cruises for Best Cruise Line,and Viking River Cruises for Best River Cruise Line . Cunard was given the accolade for Best Food and P&O Cruises were honoured for Best Event for their 175th anniversary celebrations, attended by HRH Princess Anne. Disney Cruise Line was voted Best For Kids for the second year running, while Royal Caribbean International took the coveted prize for Best for Activities. Fred.Olsen was named Best for Learning. David Dingle CBE, CEO of Carnival UK, was honoured with a Lifetime Achievement Award for his outstanding contribution to the cruise industry. The awards were hosted by former Whip and Lord Commissioner of the Treasury Gyles Brandreth and filmed by the Travel Channel. Presenters included Celebrity Masterchef contestant and Travel Channel regular Cheryl Baker.